I was thinking if i should answer all the formspring questions or do something that quite a few people had requested! There were requests from you guys asking me how i took care of my skin! And this afternoon i received another one, so i thought i should spend time doing a good post today. Honestly, i don't have a proper skincare regime. I think at my age, i shouldn't need one because i am young. But there are always exceptions! Sometimes i am hardworking, sometimes i am lazy. But it doesn't matter because i'm gonna teach u on how to have almost perfect skin! If you read my twitter, you would have know that my mother just came back from Hong Kong to visit me and my sister. The first thing she said was that she realized i have glowing skin. She said there's this healthy glow through my skin. HAHA. I didn't have a really good skin last time because i used to be under the sun a lot and i don't really know what i should do to have good skin. HOW DID I GET THAT GOOD SKIN NOW??? Except for my horrible dark eye circle, my face complexion is alright with no make up. I can always go out without make up! But make up boosts my self-confidence so i will somehow put a little on. Ok, that's another story. Now i have to focus on getting the good skin. I will list down the products i am currently using now MOST OF THE TIMES. Do note that my skin type is combined skin type. Oily on the surface and lacking of water beneath. This is good! I use it to wash my face every night when i shower. It has a hydrating formula. Your face doesn't feel sticky after using. 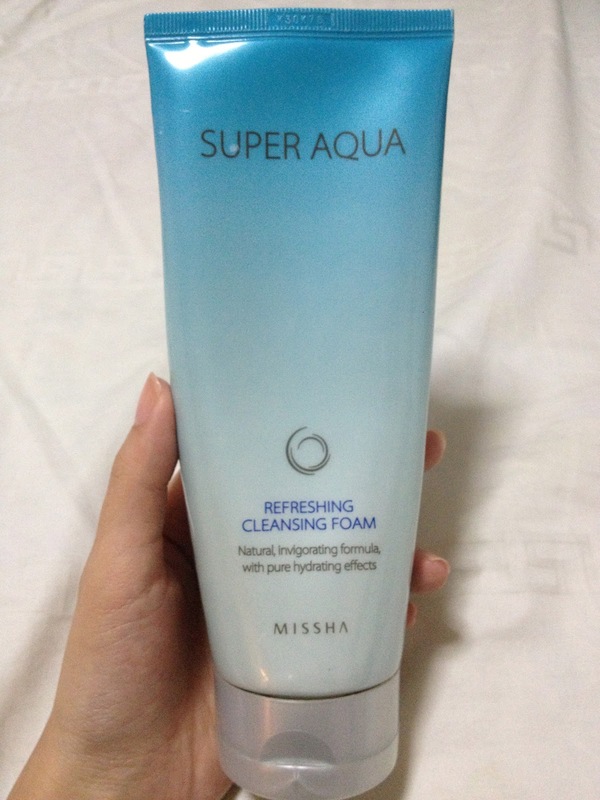 You feel refreshed and the oily skin just seems to disappear. I certainly recommend this and it is not expensive too! 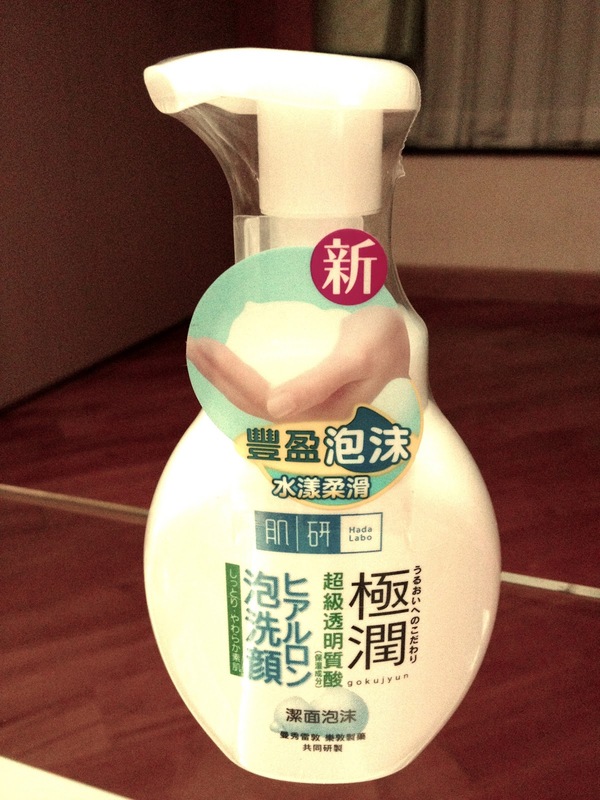 I bought this at Watsons in Hong Kong. Not sure if they have it in Singapore but i am quite certain it is on sale here due to its popularity. I rate this 9.9/10. It is ridiculously good. Whenever i am lazy to apply other skincare products, i will simply use this and spray it on my face and viola~~~ I'm done. 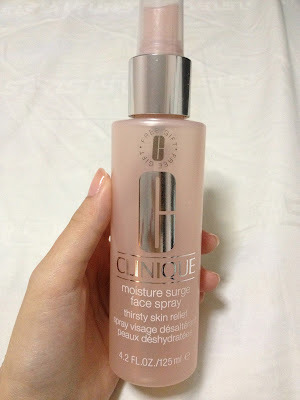 Clinique is actually a very good brand for skincare products. If you look at the first picture in this post, most of the products are from Clinique. And since this is so good, i got a mini version of it. Now i carry this every where i go! Moisturizing and hydrating is very important. Alright, so i have only these three products that i use everyday. Super easy! 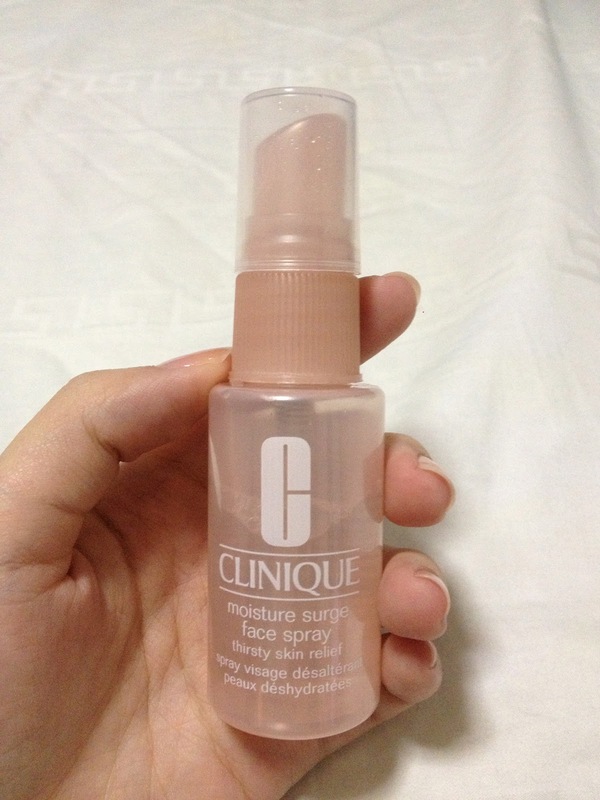 Alternatively, you can get this moisturzing face spray by My Beauty Diary. The other products shown are used weekly. I like Missha's Rice Mask (on the right). Go check it out if you are free! It costs about $20 but i bought it on sale the other time at $15. It has whitening and hydrating purposes. Yes, whitening and brightening is very important too. The product on the left is another kind of mask that i use. From Hada Labo too. Apply it on your face and sleep with it! It will be absorbed overnight. The cons about this is that it is quite greasy after applying. I think i will like to talk about preventing acnes than talking about what kind of products you should use because everybody's skin type is different. We always need to trial and test. Ladies, we should invest in ourselves! Invest in good facial and make up products mainly because they are on our faces and our face is the first thing people take notice of. Dirty here means anytime after your hands touched another object. I only touch my face when i wash my face or when i'm applying skincare products. Please don't touch your face, especially when you are outside. Your hands have germs and pimples will appear easily when your face is oily and when it comes in contact with germs/bacteria. SCOLD YOUR FRIENDS IF THEY TOUCH YOUR FACE. You never know what they touched before when you touched you! Doctors say using tissue paper to get rid off your face oil is better than using oil block paper. And i always use tissue paper. You will see a little yellow patch on the tissue paper. That's your face oil! I can't stress how important this is for girls, and even guys. Always apply sunblock before you leave the house. You can forget about all the skincare things that i mentioned but you cannot forget this. Sometimes when you are at home, you can apply a little bit of sunblock too because there will be UV Rays in your house as well. TheFaceShop, Natural Sun Aqua Sun Gel SPF 40 PA+++ , Super Antioxidant ACAIBERRY. Biore UV, Aqua Rich SPF 50 PA +++. Both are good because it is non sticky. I hate greasy sunblocks. I always make sure i wash my hair and face before i sleep on my pillow. This is because most of the times when we sleep, we sleep sidewards. So eventually one side of our face will touch the pillow. If you don't wash your hair/face your face before you sleep on the pillow, circumstance is that your pillow is filled with germs. That's also one of a reasons why people have pimple the next morning when they woke up. I had it a few times before too. And also make sure you change your pillow casing frequently. Needless to say, fruits are healthy and good for your skin. Yeap, i'm sure you know this too. If you like to eat chilly, it is alright but remember to drink lots of water. If you like to eat fried food, it is okay but gonna be careful too. Fried food is sinful! Just remember to drink water and herbal tea ok? The best is eat steamed/water boil food. I hope you have learnt something new and start taking care of your skin! Our youth is priceless.